OverviewMeet our MOCOSA Exectuive and more. MOCOSA MagazineRead Marcus Oldham's Graduate Magazine. Update your DetailsMoved to a new house or job? Let us know. Reunions & EventsLet us help you organise a class reunion. Student PortalAccess the Online Learning Management System here. LibraryNeed to access the library site online? Click here. AboutLeading agriculture, agribusiness and equine college. Discover Marcus OldhamFind out what it’s really like to live and study at Marcus Oldham. Our PeopleMeet our experienced and knowledgeable people. Term CalendarCourse dates and event information. Student Living & FacilitiesExperience the on-campus lifestyle. AgricultureWant a rewarding farm management career? AgribusinessPassionate about the food and fibre industry? Equine ManagementLooking to excel within the equine industry? Postgraduate StudiesEnhance your career prospects. ScholarshipsKick-start your career with a scholarship. LeadershipPreparing people and organisations to navigate change. Fees & FinanceCourse fees and financial assistance. ProjectsFind out about our current projects. News & EventsStay updated on our events. How to SupportThere are some wonderful ways that you can support our current projects. 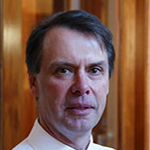 David has over 30 years experience in Agriculture Finance including roles such as Agricultural Economist, Agribusiness Marketing Manager and senior banking roles in regional NSW and Victoria for the National Australia Bank. He was the initial CEO of Rabo Financial Advisors and spent five years as a Farm Consultant with Mike Stephens & Associates focusing on agricultural investment opportunities for wholesale investment funds. David has worked at Landmark as the Regional Manager for Western Victoria and then as a strategy manager for the organisation. Since 2012 David has consulted to agricultural investment companies supporting their farm investment strategy in Australia. In his spare time, he is involved in a family farming operation based at Casterton in Western Victoria. David is a full-time lecturer at Marcus Oldham, in Marketing and Business Communications. 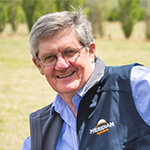 Mike is the founding Director of Meridian Agriculture a major agribusiness consultancy group with a client base in southern Australia. Mike has 20 years’ experience in human resource management and provides consulting advice to major agribusiness companies. In addition to a large number of rural clients, Meridian Agriculture provides project management and training for a wide range of agricultural organisations including Meat and Livestock Australia, Australian Wool Innovation, Land and Water Australia and Department of Agriculture, Fisheries and Forestry. Mike is one of the founding members of Working with People Pty Ltd, which is experienced in delivering the Working In Groups (WIG) workshops for Meat & Livestock Australia. Over 2,500 people have been trained by the Working with People Company and their record in delivering the WIG’s program to a standard above all expectation, speaks for itself. 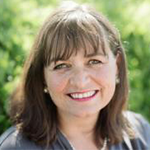 Fiona has 30 years business experience in the production and marketing of agricultural and horticultural commodities, both in Australia and overseas. Before taking up the position of CEO with the Wheen Bee Foundation, Fiona lectured in business management and marketing at Marcus Oldham College in Geelong, Victoria. As convenor of the Marcus Oldham Rural Leadership Program and the Apple and Pear Australia Ltd (APAL) ‘Emerging Leaders’ Program, Fiona developed extensive networks across a range of rural industries throughout Australia. Copyright Marcus Oldham College 2019. CRICOS Provider Code 00306D.